Fully deserving of the almost universal critical acclaim and huge box office that greeted its Spring 2018 theatrical release, actor / director John Krasinski’s apocalyptic monster movie is a masterclass in sustained intensity. At the core is a dynamic premise with shades of earlier genre works (notably Tim Lebbon’s much more gruesome and expansive novel “The Silence”), and the film does a terrific job of telling us everything we need to know about its threat within the first few minutes, while simultaneously delivering the first of its major shocks. After almost a hundred days of surviving in a vastly changed world ruled by blind creatures with an acute sense of hearing, a sympathetic family headed by Krasinski and wife Emily Blunt, suffer a devastating loss that confirms all bets are off. With only fleeting hints of the bigger picture, we experience a microcosm of humanity’s battle via this resilient couple and their children, notably the deaf young girl (Millicent Simmonds) who proves pivotal to their ongoing survival. 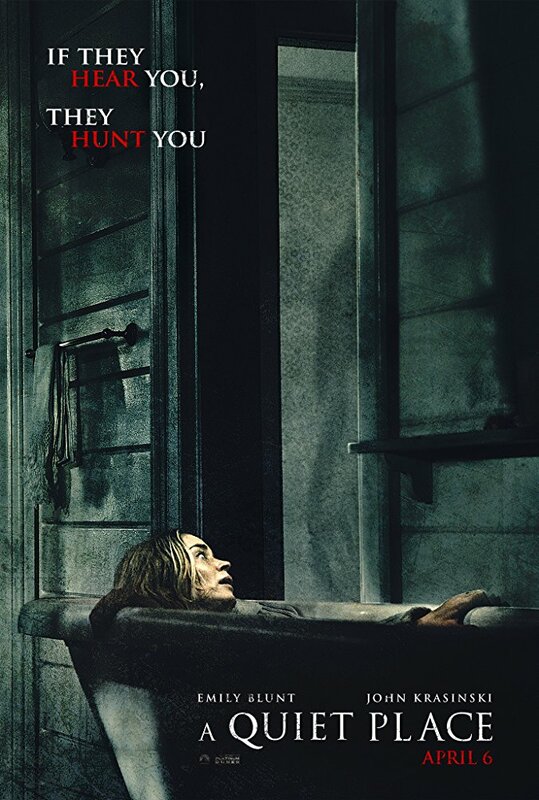 Although it boasts a conventional (yet startlingly effective) score by Marco Beltrami and isn’t above standard jump scares, A QUIET PLACE isn’t afraid to take unexpectedly grim plot turns or highlight the emotional impact of their considerable losses upon the remaining protagonists. 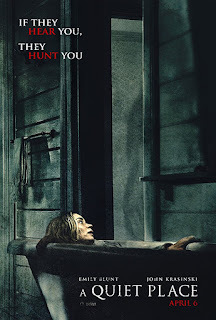 Sweat-inducing scenes of the (terrifyingly toothy) monsters encroaching on the family’s carefully sound-proofed home punctuate the pared-down narrative, though the boldest and most compelling facet is that a mainstream horror movie dared to convey almost all its dialogue via subtitled sign language.